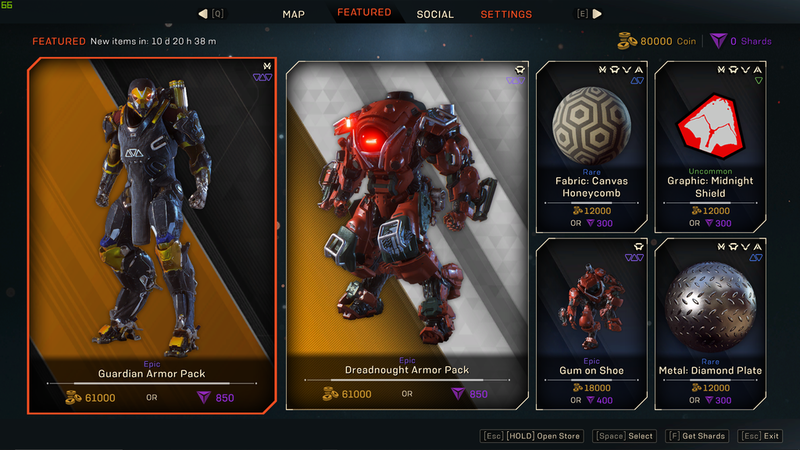 It’s another week, and that means the Anthem in-game store has refreshed its stock of cosmetic/vanity items. If you’re curious what you can spend your hard earned Coins/Shards on, read on. 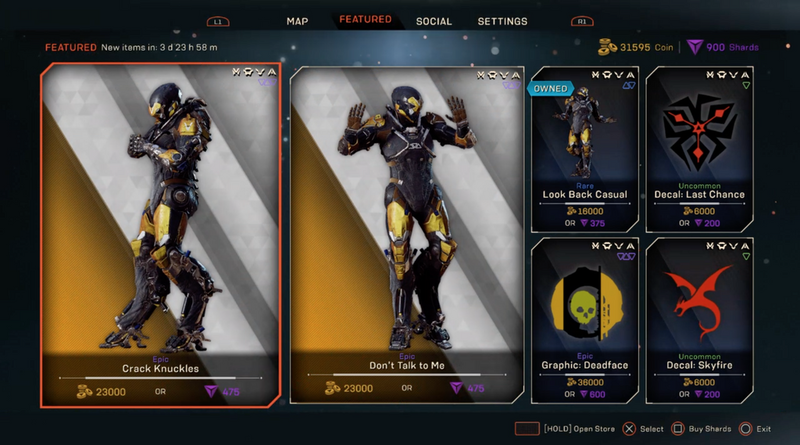 Are you getting anything from the Anthem store update this week? If so, let us know bekow. In other Anthem news, go read up on what changes are coming in next week’s planned patch.